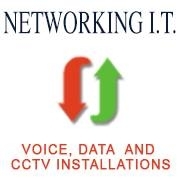 Networking IT is your one stop shop for voice, data and CCTV networking solutions. 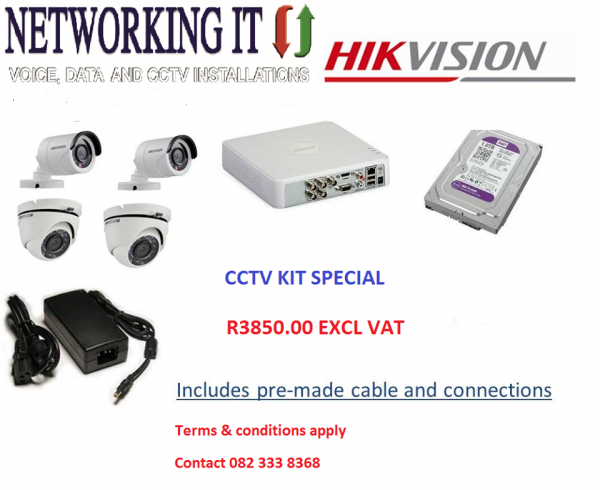 Supply and installation of CCTV systems as well as assisting with the upgrading and servicing of existing CCTV systems. Supply and installation of networking systems including LAN, Fibre Optic Cables, Co-Ax and Ethernet as well as Voice and Voice over Data. 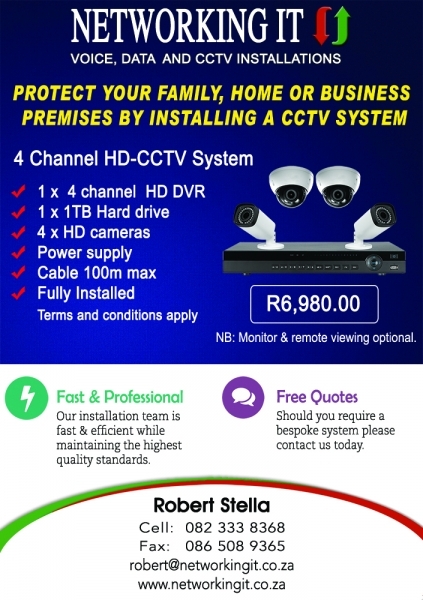 Solutions are tailor-made to suit your needs for home or office. Networking IT can also supply and install various computer cabinets, components and hardware.